At RGU Color Inc, we understand how important your corporate colors are in projecting the image of your business. We have vector artists on staff ready to create, update or optimize your logo and message so that it is ready to be cut on your CHOICE OF VINYLS. We will apply to your vehicles, storefront windows, back-lit acrylic, construction signs, walls, notebook computer or kids toy! Just let us know would like. Keep in mind that you are not limited to your own imagination as we have a creative staff to work with you on your design. Our professionals will install on site or in house.Using contour cut vinyl for commercial and home decor is one of the fastest growing trends in interior and retail design. The promotion and decorative possibilities are limitless. 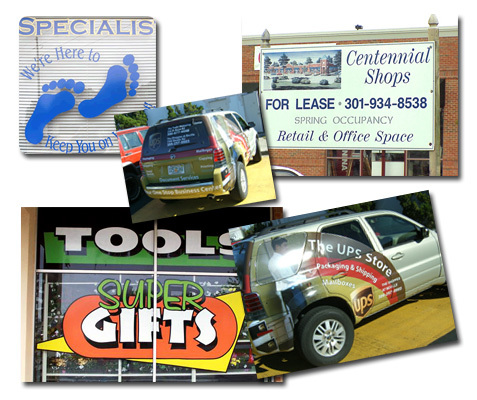 Contour cut vinyl and lettering offers, visibility and style with a message, and all without the mess of paint.